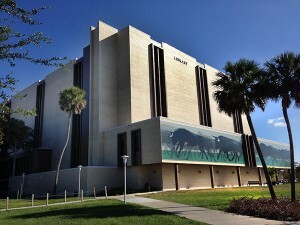 Located on the main campus, the USF Tampa Library serves as the main research center for the University of South Florida. 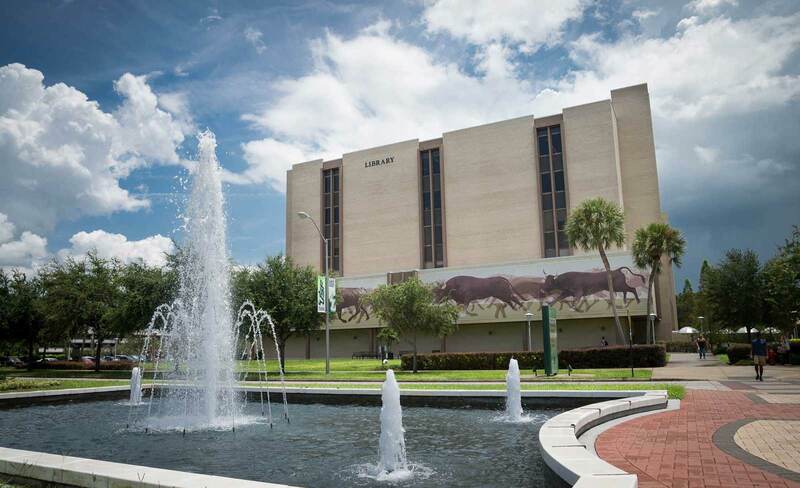 The USF Library offers access to over 1.3 million books and an extensive selection of print and electronic resources, including 52,000 e-journal subscriptions, 443,000 e-books, and over 800 databases containing articles, media and other materials. Students also have access to our collections of audio/visual materials including videos, CDs, DVDs, and even LPs. The Tampa Library is a comfortable and inviting place for students and faculty to meet, study, conduct research, and complete group assignments. Library facilities provide computer access and individual and group seating areas. The Learning Commons (LC) on the first and second floors has extensive seating, wireless access and electrical connections for laptops, and over 140 computer workstations, as well as the state-of-the-art SMART Lab, with over 300 computer workstations. The LC also houses our Reference help desk, the Writing Center, the IT help desk, the check-out desk, and a Starbuck’s Cafe on the first floor. USF’s Career Services also has a presence on the first floor, with print materials for job seekers and the Job Shop, where students can search for job openings at dedicated computers. The second floor of the LC, includes the Periodicals area, Media Resources, Library instruction labs, and Tutoring & Learning Services. Students and faculty also have access to specialized research assistance and information literacy instruction from our friendly librarians. Assistance is available from research and reference librarians either by appointment, on-line via our website, by phone, or in a classroom setting. In addition to extensive electronic and print resources, the USF Tampa Library offers unique access to primary research materials through Special Collections, which is located on the 4th floor. Specializations include Florida history and politics, American literature, medieval manuscripts, juvenile literature, rare books, and sheet music. The Library’s Florida Studies Center is also housed here. Established in 1998, the center draws on Special Collections materials and technological services to promote arts and humanities education on Florida and its people to students, teachers and the general public.